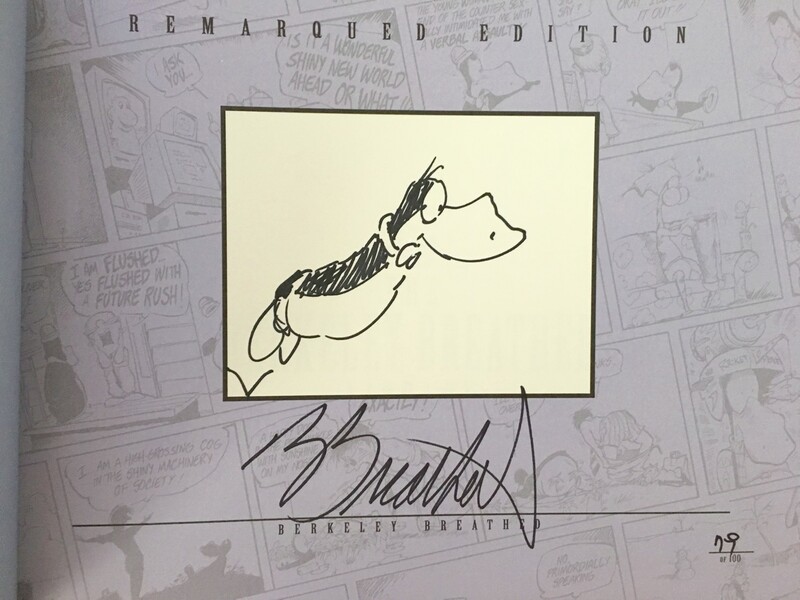 Outland Complete Library hardcover coffee table book autographed and remarqued with a sketch of Opus in black marker by Pulitzer Prize winning cartoonist Berke Breathed. 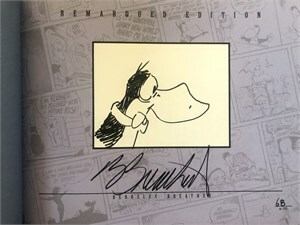 #79 in a numbered limited edition of 100 Remarqued Edition books. With certificate of authenticity from AutographsForSale.com. MINT.